Invitation to TIFA’s Japanese Classes – New participants are welcome ! 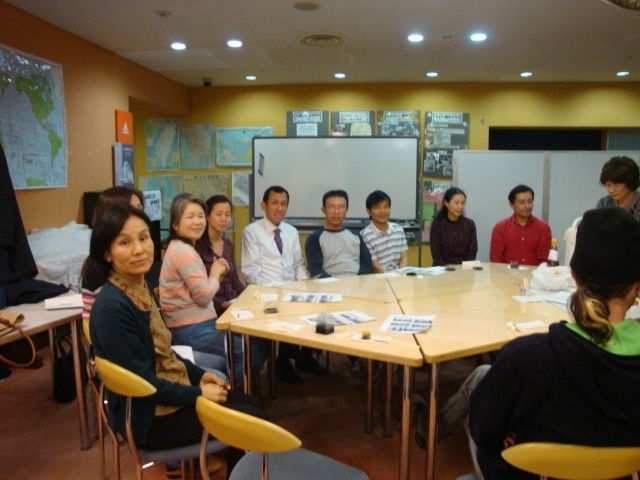 TIFA members are happy to help foreign residents, who are neighbors in our community, to learn Japanese language. Intimate lessons suited to students’ individual needs. Chat & tea time will also be fun! Students who wish to learn Japanese in various levels including Kanji (Chinese character) are welcome. 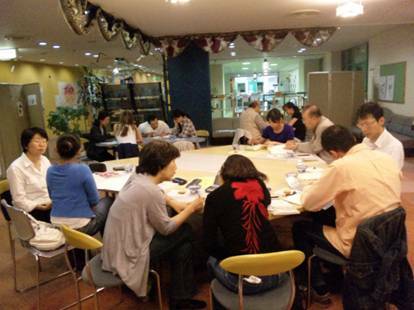 Volunteers are helping to improve Japanese based on individual needs. First 3 classes are free of charge. After that an entrance fee of 2,000 Yen is needed. Volunteers who need to be registered are also welcomed. Teaching Japanese to international students, research students of Osaka University and their family on voluntary basis. If you are interested in, please feel free to contact at TIFA office (Tel/Fax:06-6840-1014, e-mail: tifa99@nifty.ne.jp).